Collection of Maharashtrian Recipes submitted by homemakers,grandmothers & Indian food lovers. 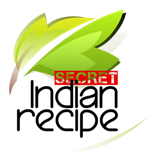 Best Maharashtrian Recipes on the web. Maharashtra is he Western state in India and currently it is the second most populous state after Uttar Pradesh. The Maharashtrian cuisine is diverse. Every Maharashtrian family has its own combination of spices. Though some spices like the Goda masala, Kaala masala are commonly used. People here do eat meat and egg accept for the Brahmins. In villages here they eat rotis made up of Bajra and Jowar. Maharashtrian cuisine covers a wide range of spices from very mild to very spicy.